We’re just back from Polly and Jon’s wedding in Kent. I wasn’t the wedding photographer but Polly is the daughter of very old friends and we’ve known her all her life, and I wanted to take some pictures. Disaster struck, all my cameras suddenly decided enough was enough and ground to a digital death, and my pocket digital had disappeared into the matmos I call home. 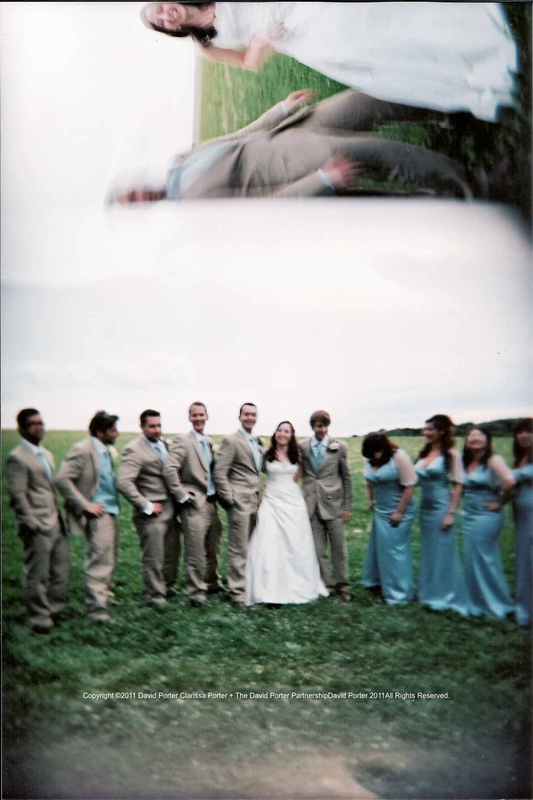 So I had to take the Holga to accurately (!) record Clarissa’s arrival at the church. 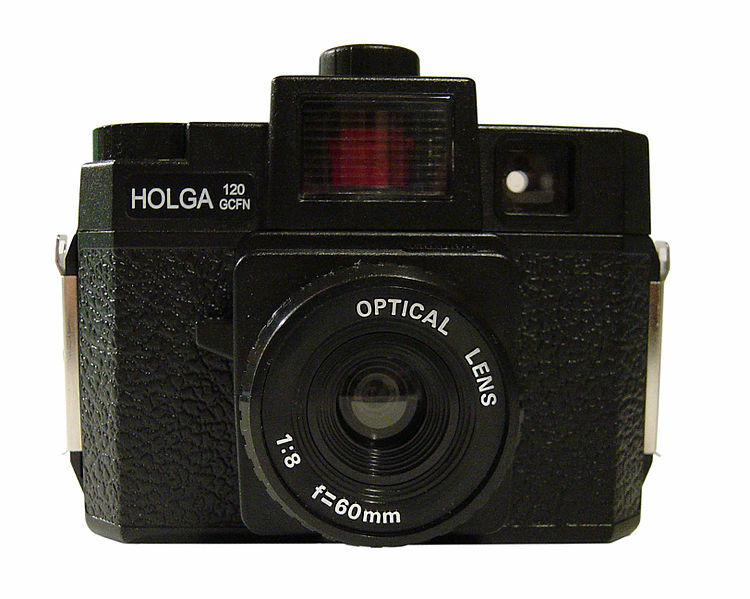 A Holga is a light-leaking plastic camera with a plastic lens that uses 120 film. Some might say it misuses 120 film. 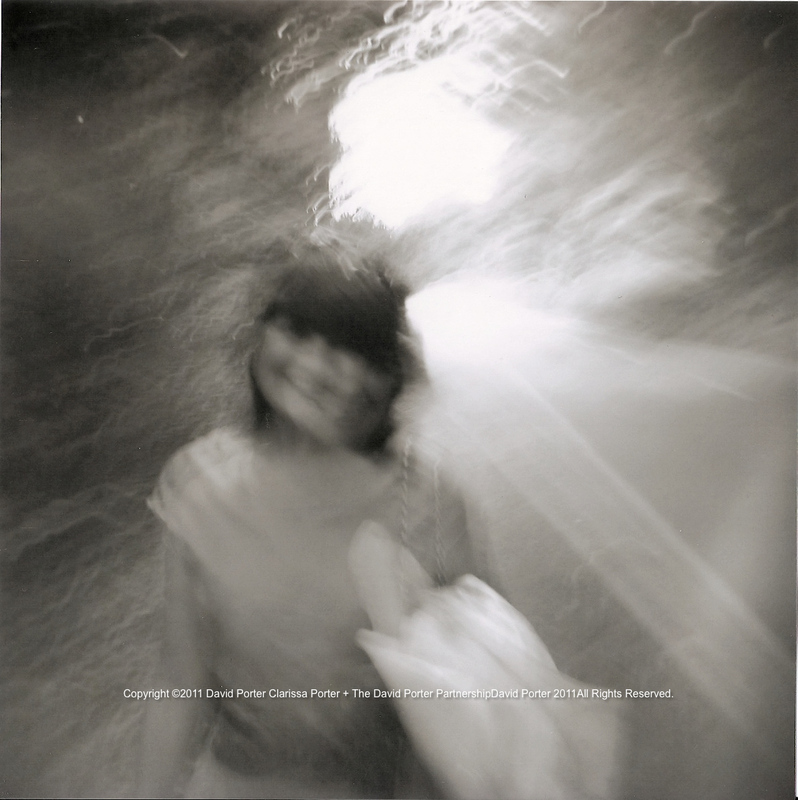 It has a cult following because it can be relied upon to produce pictures that are blurred, out of focus, haphazardly framed and (by light getting into the camera) fogged . Which is exactly why it is so satisfying to use after the relentless perfection of digital with the endless opportunities and compulsion to manipulate, ‘improve’ and ‘correct’ to make reality even more real, but at the same time less true. I agree with Martin Scorcese who reckons digital effects may look ‘real’, but they lack that ‘used’ feel, the fortuitous unplanned reality of life. Polly’s mum and dad, Barry and Karin, used to live in Brockley, but some years ago they decided they needed a new challenge and took the brave step of selling their huge house and buying the 180 acres of beautiful Kent countryside known as Farnell Farm. From the beginning they planted Kentish cobnuts, Filberts and Gunselberts, about 700 trees altogether on a sloping 4 acre field leading down to their barn. 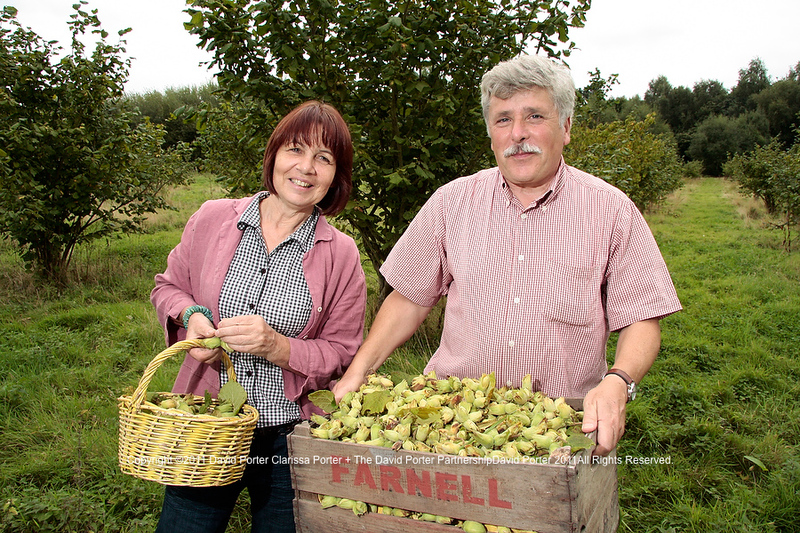 They thought cobnuts would be in tune with the landscape and a traditional local crop, something that was very important to how they saw their life on the farm. On our first visit we were unprepared for the sheer beauty of the landscape; while the dog dashed around in lurcher heaven Barry and Karin showed us around the orchard, Barry worrying about the squirrels eating the nuts, and later Karin bringing us some freshly picked green cobnuts. The cobnut harvest starts at the end of August after St Philbert’s Day, the first cobnuts are green, and eaten as fresh as possible. The taste was amazing, the green cobnuts were moist, sweet and soft. Even the wonder-lurcher discovered a passion for green cobnuts. “People become addicted to green cobnuts,” said Barry. “If you taste them green the flavour is unique and subtle, once they’ve been cold-stored or chilled they lose that flavour.” Karin thinks they taste like raw fresh peas. Green cobnuts are only available for a few weeks from about now, then they’ll turn dry and golden and are delicious roasted. The field yields about 2 tons per hectare depending on the squirrels who account for about half the crop. Then there’s the badgers. Farnell Farm has 75 acres of ancient bluebell woods, peppered with badger setts, the badgers climb up the trees after the nuts and flatten them! Now a few years on, they’ve a small flock of Portland sheep, and they’ve recently planted 5 acres of vines, hoping in 3 or 4 years to be producing their first Farnell Farm wine. The couple are licensed by DEFRA to sell bluebell seeds, I didn’t know it was illegal to collect the seeds without a licence, but apparently this is a serious business, and Barry and Karin were two of the first people to be granted a licence to gather and sell the seeds. 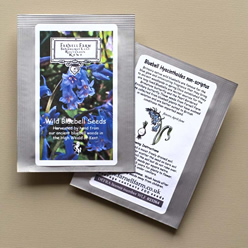 They’ve added wild garlic and wild broom seeds to their stock and sell everything by mail order through their website. The hazel tree dates from the end of the last Ice Age, cultivated hazels known as Filberts have been grown since the 16th Century, named after St Philbert’s Day which falls just as the nuts are ready to eat. 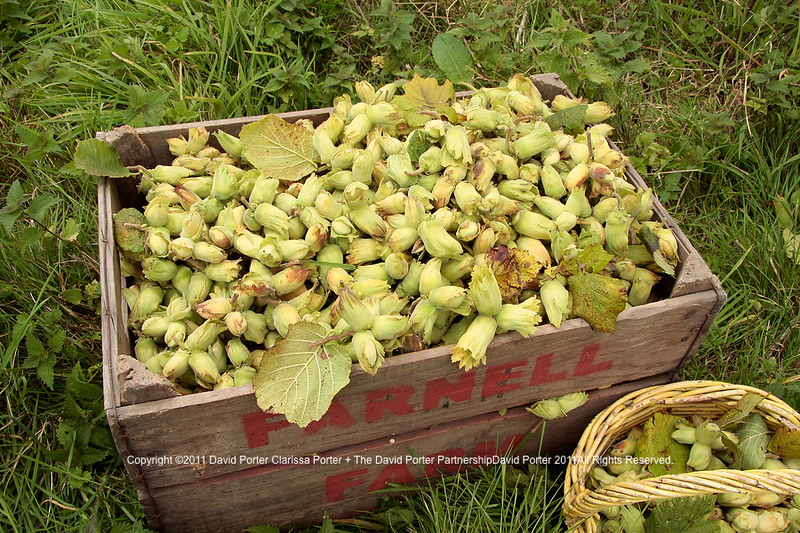 The Kentish cobnut is also known as the Lambert Filbert which was developed in the 1800s. Other traditional varieties are the Gunselbert and the Frizzled Filbert. 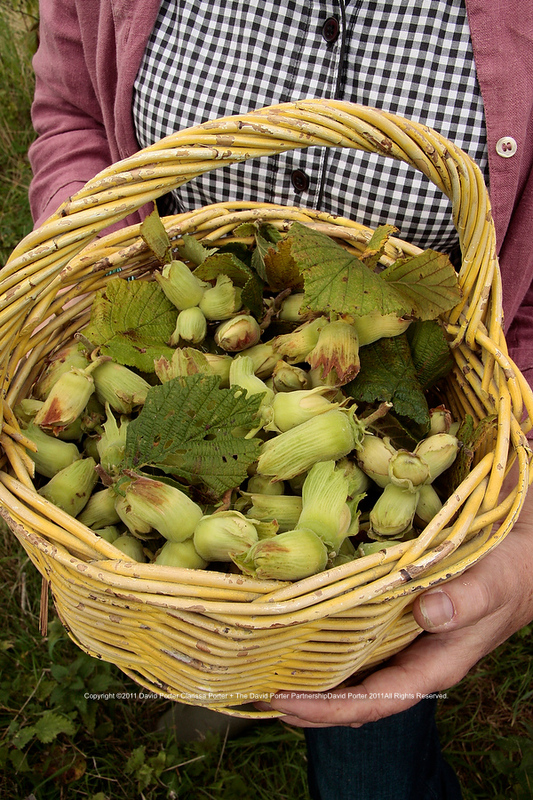 Before the last War there were 7,000 acres planted with cobnuts, now there might be just 250. People have lost the taste for cobnuts as small greengrocers have disappeared and supermarkets refuse to stock fresh cobnuts. Some Turkish shops stock green cobnuts from abroad, I’ve seen them in the Lewisham Food Centre for instance. 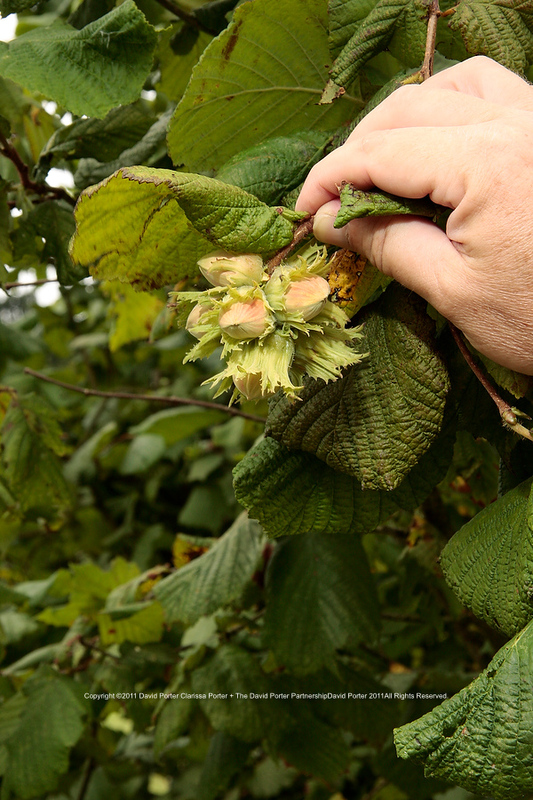 The Kentish Cobnut Association, led by Alexander Hunt are working to preserve this tradition. Alex was at the wedding, we’d met before at the Canterbury Food Fair and at Produced in Kent events. I told him about the blog and we self-consciously exchanged cards. 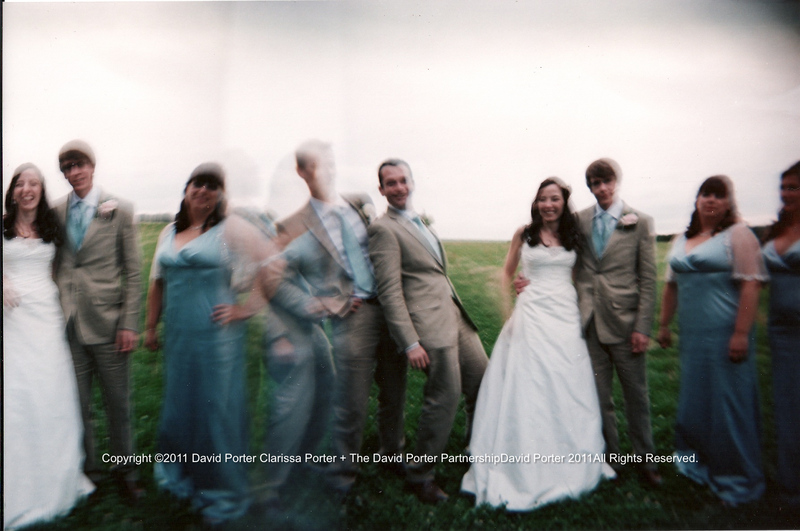 Ah yes ,the wedding, the Holga was doing its best, every so often I changed the film and replaced the batteries back into their clips, they kept falling out and rattling around inside the camera so the flash wouldn’t work. The official photographers moved smoothly on, their laptops glowing confidently; as dusk arrived they suggested taking some pictures of the bride and groom with the bridesmaids and ushers in a field the other side of the woods. I thought I might get something memorable, but when I reached the field after negotiating the odd electric fence it was quite dark and I had to rely on the puny built-in flash. The photographers set up umbrellas and flashguns and fiddled with radio transmitters while I happily shot away. Later back in London I took the films to West End Cameras for developing, explaining the shots were taken in near darkness from about 20 feet away and I didn’t think they’d come out…? They specialise in cameras like Holgas and their cousins Lomo and Diana and are really enthusiastic about the fun of film photography. 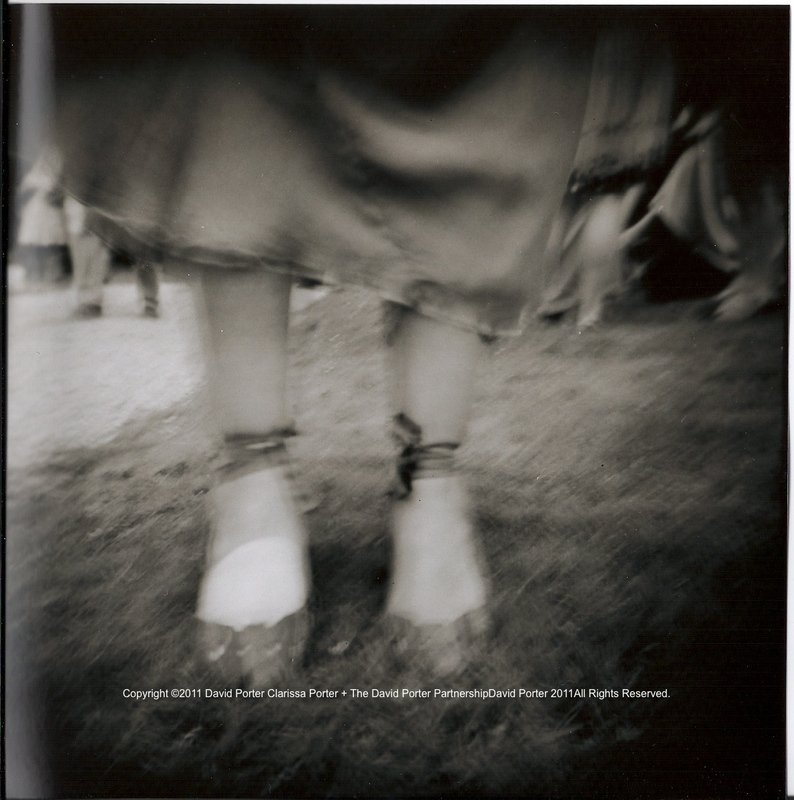 When I got the prints back I was really pleased, this is what is so exciting about Holga photography, the unexpected results the double exposures and the over-lapping frames. The snaps remind me of one of the happiest days, the fun of photography and the companionship of old friends. 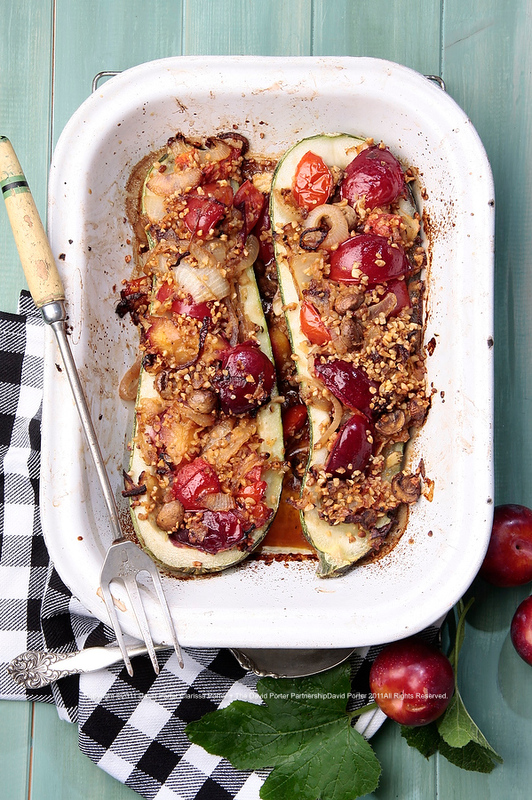 Here’s a recipe for cobnuts, with marrow and plums from the Kentish Cobnut Association. I bought my plums in Lewisham Market, walking around the back of the fruit stalls scrutinising the labels on the crates of fruit till I found some English plums from a farm near Sittingbourne in Kent. Clean the marrow and slice it in half lengthways. Scoop ,out the seeds leaving a hollow in each half of marrow and then put them into a suitable ovenproof dish. Halve the plums and remove the stones. De-husk the cobnuts and chop them roughly, not too small. Take half the butter an in a pan gently fry the onions. Then combine all the ingredients, adding the garlic to your own taste, an scattering with a few mixed herbs, but remember not to overpower the subtle flavour of the cobnuts. Divide this mixture in half and put equal amounts into each half of marrow. Dot with the remaining butter, cover the dish loosely with tinfoil and bake in your oven preheated to 180C for 90 minutes.